For your concrete repair or restoration projects requiring fast strength gain, high durability and low shrinkage, use Rapid Set® Concrete Mix. 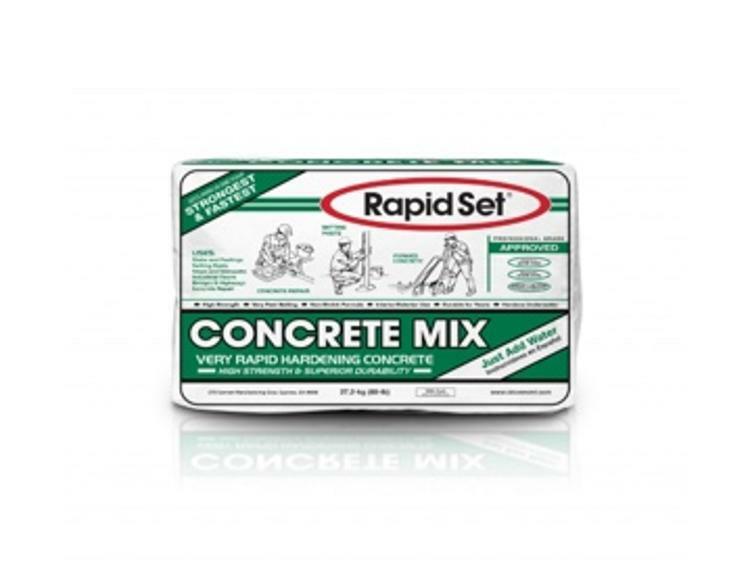 A high-performance blend of Rapid Set® hydraulic cement and quality aggregates, Concrete Mix is your multipurpose, workable and fast-setting product for repair and construction of pavements, formed work, footings, industrial floors, machine bases and setting posts. It is non-metallic and no chlorides are added. Concrete Mix is durable in wet environment, sets in 15 minutes and ready for traffic in 1 hour.